The mass production of cars and many daily needs made our life comfortable in the 20 century. However, in the 21st century, we are producing the mass production of not cars, but sick people. If we do not take care of ourselves very carefully today, almost all of us get serious sickness in near future. 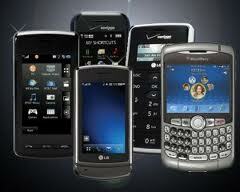 If you use smart phones/cell phones, for an example, you are constantly being damaged by electromagnetic pollution. The smart phone itself is not much of damage, but because of constant usage of many electric-magnetic field gadgets in our daily life, the usage of smart phones or cell phones become quite damage to our health. In addition, if you drive an electric car, which is thought to be nature friendly, but human unfriendly. In fact it is quite dangerous to our health. This is why. When you are driving an electric car, you are exposed to very strong electromagnetic pollution coming from a huge battery in the car. Therefore, the longer you drive, the higher the chance of getting serious sickness. Be careful. Nobody is taking responsibility for your health. You have to become smart enough to avoid these machines as much as possible. Hope that 2012 will become a healthy year for all of us. I came to master Shin with a liver pain. I am a personal fitness trainer and I could not even workout because of that pain! I don't like to use medications because I know some of them may bring side effects. I was also interested to try that ki energy therapy because I myself practiced reiki and acupuncture and I believe those approaches work. I only seen master Shin three times and now I'm pain free in my liver! I don't know how that works but looks like the therapy worked on me. Master Shin's approach makes a lot of sense and I am sure many people can benefit from it even from the educational side. Thanks master Shin for helping me to get rid of my pain! New video has been uploaded on Youtube. In this video, Master Shin talks about "heartburn", also known as "acid indigestion". He teaches you how to get rid of heartburn using very simple Shiatsu Technique. A lot of people must need the information especially in this holiday season! He also talks about the mechanism of heartburn. Very simple, easy to understand. Stomach is made of muscles. When you play sports, and if your muscles are tight, you can't perform well, right? The same thing can happen to your stomach. your stomach muscles becomes tight. then you get heartburn from "too much acid". So. If you are able to loosen up the muscle, your stomach won't have to secrete excess acid, therefore no heartburn. The Shiatsu will take about 3~5 minutes. It's worth a try before taking any chemicals to mask the problems!